Enjoy the luxury of memory foam in your RV. Conforms to your body, provides a healthier longer nights sleep. The only memory foam designed to provide a cooler sleep surface. The AERO-PEDIC is different than all other memory foam mattresses available today. 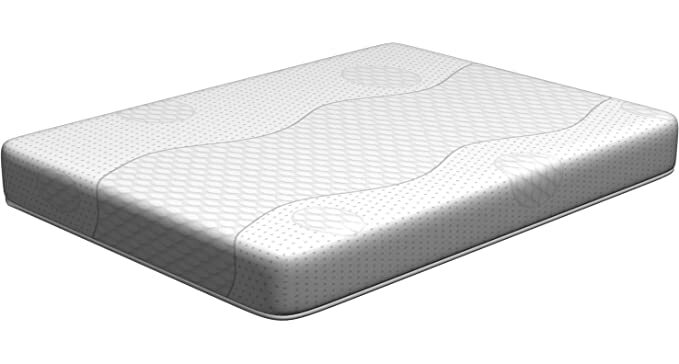 Designed by Foamex, the largest foam company in the world, the AERO-PEDIC’s Aerus memory foam has a larger cell structure allowing heat to dissipate. 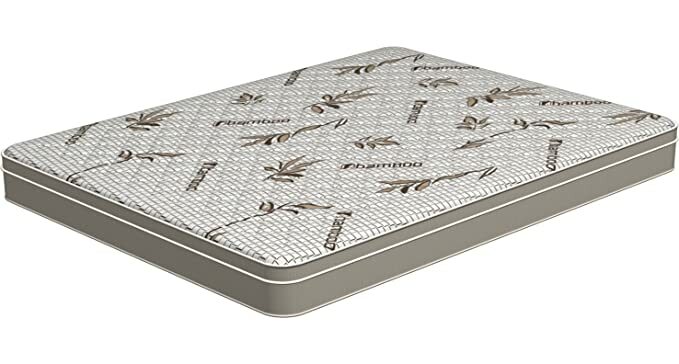 Normal memory foam traps heat from your body while you sleep, the AERO-PEDIC’s unique design allows the heat to escape quickly keeping the mattress cool throughout the night. Top Features: Air flows up to 8 times faster through Aerus than through standard visco. Aerus cools up to 10 times faster than traditional visco. Aerus provides a better support factor (sag) than traditional viscos. Aerus reduces maximum stress on key pressure points by more than half compared to innerspring mattress Aerus provides a consistent cell structure with none of the airflow-impeding films or window panes found in traditional visco. Retains 99 of original height after 25,000 cycles of 80 compression Retains 98 of IFD25 after 25,000 cycles of 80 compression. Please note this mattress is shipped via UPS compressed and rolled in a box. We have developed a patented process (US Patent #6739107) that allows this to be packaged without damage. Once removed from the box the mattress can not be compressed again nor placed back in the same box. AER6079 Parklane Mattresses "The Adventurer" Queen RV Mattress – 60" x 79"
Crawl into bed. Pull up the covers. Instantly you’ll know this is a better sleep experience. It’s Parklane’s memory foam that makes the difference. It conforms to your movements and shifts to relieve those painful pressure points. You’ll sleep better, longer because you won’t be tossing and turning and trying to find a comfortable position. If you’re looking for a slightly firmer mattress with the comfort of memory foam, this is your mattress. AER7680 Parklane Mattresses "The Adventurer" King RV Mattress – 76" x 80"
Premium Pillowtop Mattress 60 inch x 74 inch. All of the comforts of home, and more. Get all the pleasure of a top of the line premium residential mattress in your RV today. If you plan on spending long periods of time in your RV, treat yourself to the first ever pillowtop mattress designed exclusively for the RV market. This innerspring mattress was engineered with a built in pillow-top for extra comfort. The ultimate experience in comfort and support: The Journey features the industry-leading Bonnell coil system for stability, and a layer of Gel Memory Foam for pressure point relief. The Gel Memory Foam will also conform to your body and sleep cooler than traditional memory foam. You won’t believe this is an RV mattress! Outfit your rig with this Eurotop mattress and wake up feeling like every day is the first day of your trip. GSR6074 Parklane Mattresses "The Journey" Short Queen RV Mattress – 60" x 74"
A firm mattress with all the comforts you expect from your home mattress. The Bonnell spring construction creates a stable base. The high quality foam toppers are covered in a knit quilt pattern, which adds to the comfort. You won’t believe you’re sleeping in an RV–it’s that comfortable! AER4974 Parklane Mattresses "The Adventurer" RV Full RV Mattress – 49" x 74"
Premium Pillowtop Mattress 60 inch x 79 inch. All of the comforts of home, and more. Get all the pleasure of a top of the line premium residential mattress in your RV today. If you plan on spending long periods of time in your RV, treat yourself to the first ever pillowtop mattress designed exclusively for the RV market. This innerspring mattress was engineered with a built in pillow-top for extra comfort. AER7280 Parklane Mattresses "The Adventurer" Short King RV Mattress – 72" x 80"
AER7278 Parklane Mattresses "The Adventurer" RV King RV Mattress – 72" x 78"
RIQ3474 Parklane Mattresses "The Traveler" RV Twin Mattress – 34" x 74"
PSR6079 Parklane Mattresses "The Explorer" Queen RV Mattress – 60" x 79"
AER7284 Parklane Mattresses "The Adventurer" California King RV Mattress – 72" x 84"
AER5374 Parklane Mattresses "The Adventurer" Full RV Mattress – 53" x 74"